St Andrew's was built in 1908 as a Mission Church planted out of Cobridge parish down the road. 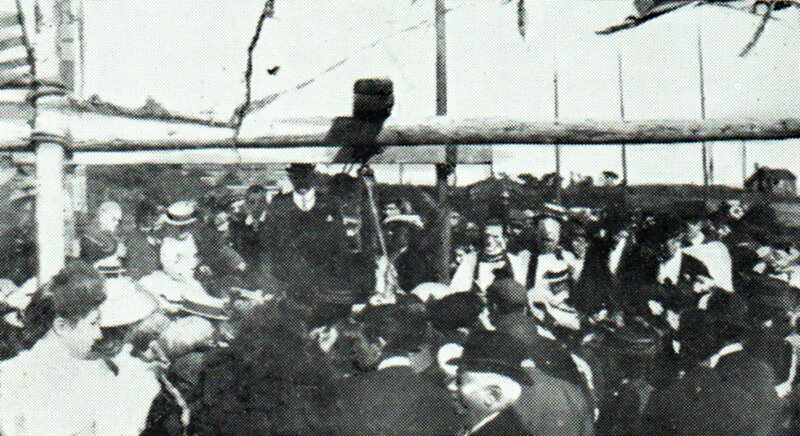 Foundation stones were laid on St. James’s Day 1908 and St. Andrew’s church was opened by the Rev. Malcolm Graham, Archdeacon of Stoke on Trent on 28th January 1909. In 1946 a Parsonage was built in the church grounds, and ten years later extensions were made to the house to bring it up to Vicarage standards. The West End of the church was extended to include a new vestry and toilets. The work was started in Jubilee Year 1958 and completed in 1959. The Consecration of St. Andrews Church as its own parish took place on 17th October 1962. The service was conducted by the Bishop of Lichfield, Bishop Stretton. In 2009 the pews in the chancel were removed and replaced by chairs. After the organ chamber and pipes were removed, this made room for a Prayer Room on the right hand side of the chancel, and a store room on the left hand side.